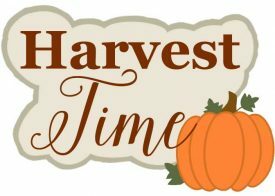 Practice your FTCU digitizing skills with this Harvest Time design! Download the image and use your creativity to trace and design however you would like. 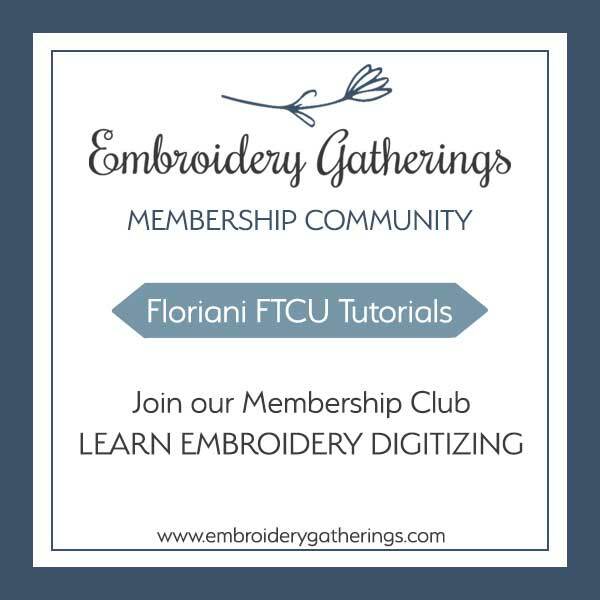 After you have finished, you are welcome to share your design image with our Embroidery Gatherings Facebook group. We would love to see your creativity! You can fill out the form below and the image and pdf guide will be sent to your email inbox. The best tip I can give you is to trace the dark taupe background first using the Fill stitch tool. When you first look at the design, your first response is to see the dark taupe as a “border” around the lighter area. It will be so much easier if you trace the entire shape as a fill stitch, then copy and paste it on top of the dark taupe shape, change the color to a lighter thread color and resize it to a bit smaller. Now it will show the small border around the edge. It would also be a good idea to remove the overlapping fill stitch of these two layers so that your design is not so dense with overlapping unnecessary stitches. When I go to the blog it has me signed out. When I sign in it goes back to home. Am I doing something wrong? 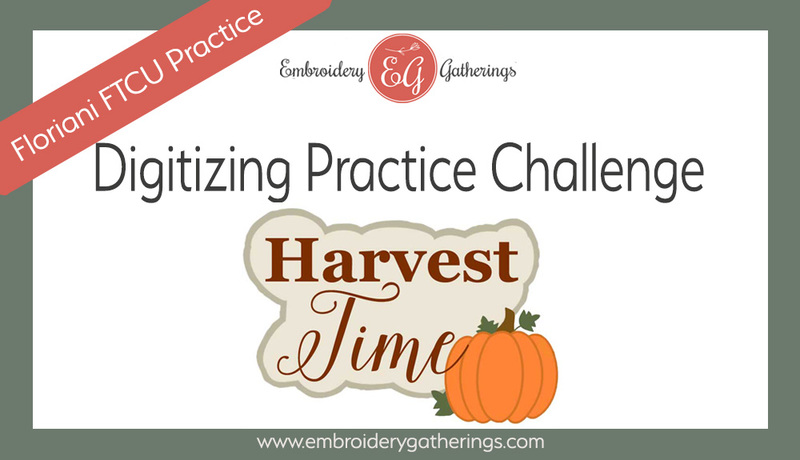 You can sign into the membership here: https://members.embroiderygatherings.com/login/. 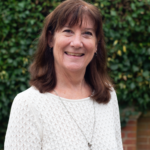 If you scroll to the bottom of the blog post and fill out the email form, the image and lesson will be sent to your email. Each of the digitizing practices on the blog work this way. Let me know if you have anymore trouble. I will be happy to help!